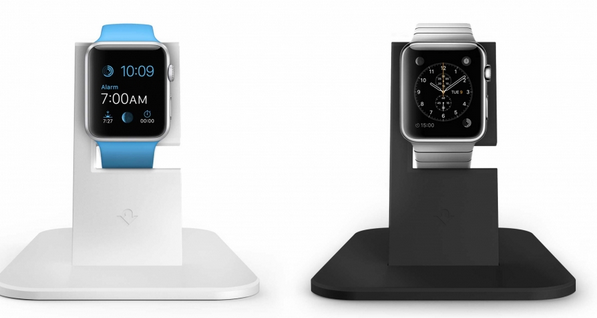 WatchStand Dock: an Apple Watch charging dock that lets you charge and display your Apple Watch conveniently. The weighted base lets you put your phone next to your smartwatch.The WatchStand can handle all versions of the Apple Watch with semi-flexible and fully flexible bands. 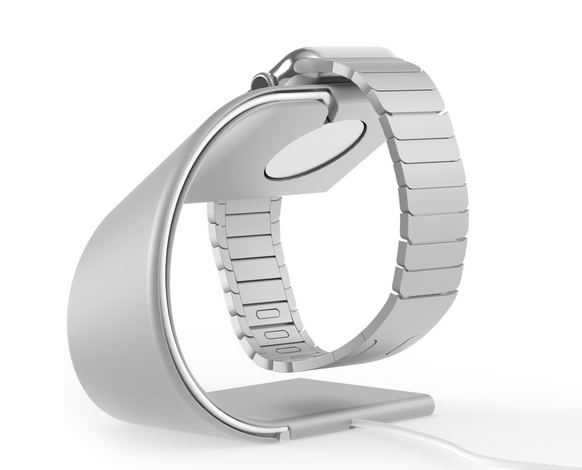 DODOcase Charging Stand: this elegant stand holds and charges your smartwatch. It fits all strap designs and watch models. Composure: a charger dock for Apple Watch. It has a walnut top, a steel undercarriage, and a hidden internal wire track. Nomad Stand for Apple Watch: this stand is made of military grade aluminum and copper alloy with a rubber bottom. 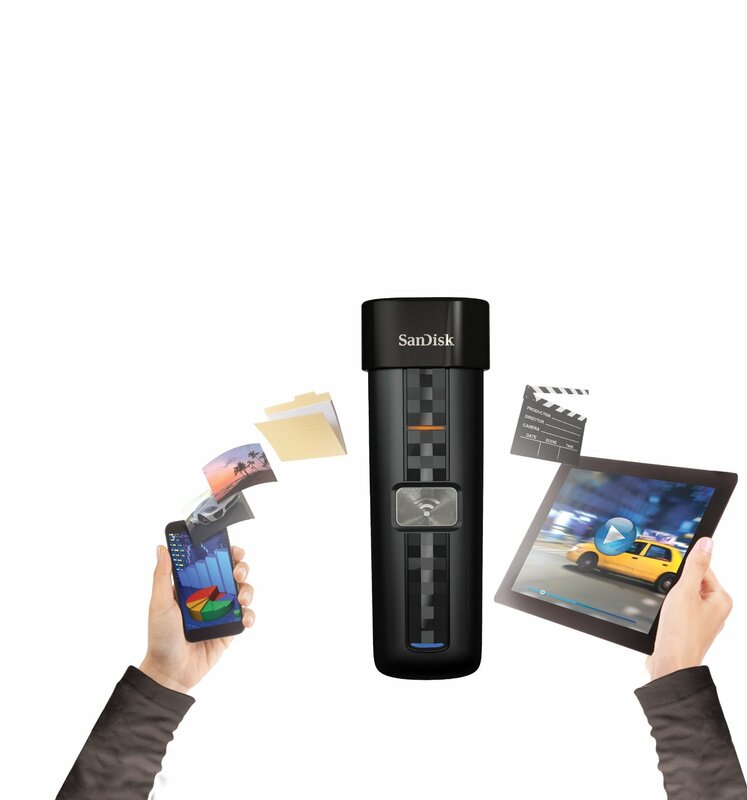 It is compatible with 38mm and 42mm of Apple Watch versions. HiRise: a bedside stand that holds your device and charges it. It will be available in Silver and Black. 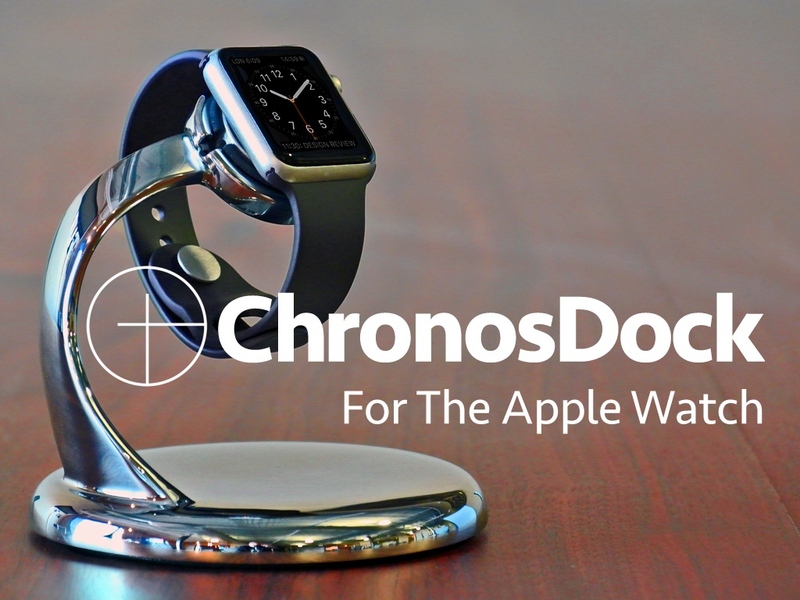 ChronosDock: a bedside dock for the Apple Watch. It will have a stainless steel body and a silicone rubber ring that holds the Apple charger disk. The developers are planning to release it a few weeks after Apple Watch’s release date. Have you found better Apple Watch docks and charging stands? Please share them here.